Even though we are aware of the importance of skincare and eliminating dead skin cells from the body, there is quite a bit of misinformation regarding the topic of peeling or skin exfoliation. This article will take a closer look at as well as get to the bottom of why peeling and skin exfoliation should become part of your regular skincare routine. What are deal skin cells? Dead skin cells form a thin, organic film on the surface that surrounds the skin, preventing it from breathing and regenerating. The skin consists of three important layers namely the dermis, the epidermis and the stratum corneum (found within the epidermis). The cell renewal process starts from within. The current dermis is "pushed" upwards towards the upper layer on a daily basis, eventually becoming the epidermis. Ultimately, these cells reach the skin's surface. Thus new room is made for a new generation of cells. The stratum corneum is the outer layer of the skin which is composed of two parts. The outer part is made up of dead cell elements without a cell nucleus, very flat and callous in its structure, with only a small percentage of water. Dead skin cells are naturally released by this outer layer. You are probably asking yourself: "If dead skin cells are released naturally, why the need for regular scrubs, peelings and the like?". There are many reasons for this: For one, it has a lot to do with the environment that we live in and our lifestyles. Also, smog, environmental influences, habits that compromise healthy nutrition and influence cellular metabolism as well as hormonal causes all leave their mark. Even the use of moisturizers has an effect of the cell renewal process within the skin because ironically, rehydrating the skin slows the natural cell renewal process of the stratum corneum. All these factors have made us aware that exfoliating the skin is the best way to make room for new cells and new skin. Besides improving the circulation of the skin, peelings stimulate natural collagen production, the best weapon for fighting wrinkles because collagen plumps the skin which in turn prevents premature aging. Ingrown hairs can be kept at bay when exfoliating the skin on the regular because the skin is soft enough to give way to new hair growth. Another topic is flaky skin. It has an uncomely appearance and unpleasant texture. An unsightly, patchy shine often arises. This is the result of extreme hardening of older cells that blends with sebum, the body's own keratin and exogenous substances that gather on the surface of the skin over a period of time. The flaky skin forms a kind of armour that is difficult to penetrate. This restricts even the most effective creams. What's more, flaky skin is beneficial for the formation of fungi and fungi infections. With summer pretty much at our doorsteps, the need to acquire a beautiful brown tan is what most of us are aiming for. However, many of us will deal with irregular spots and colouration - an indirect implication of the above-mentioned "cell replacement mechanism". The process of replacing the cells occurs irregularly, whereby dead skin cells are not removed regularly. Exfoliating the skin on a more regular basis can counteract this problem. Healthy skin is beautiful and what is important is that the skin is able to perform its natural functions: protection against external influences, especially the sun, and all kinds of infections. It is not necessary to use a peeling or exfoliate the skin every day. Exfoliating the skin on a daily basis can lead to dryness and dehydration which will harm the skin. Ideally, exfoliating the skin one to three times a week to prevent the lipid balance from being damaged. Natural scrubs and peeling products are best suited for regular use. It is important to understand that by simply exfoliating the skin on a regular basis can result in a more even complexion, naturally radiant and healthy skin as well as skin rejuvenation. We have recently compiled the Delicate Face Peeling Set composed of Anti-Aging Exfoliating Mask for Face & Body and Bleached Silk Sponge for effective exfoliating action. The mask contains apricot granules that moisturize the skin and provide antioxidant treatment, which is ideal for mature skin types. The sponge is the perfect size for the face. The mask is also suitable to use on the whole body. 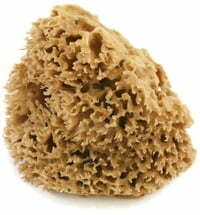 Together with the Cose della Natura Honeycomb Sponge it is able to offer an exfoliating effect on the entire body. Use the Delicate Body Peeling Set to naturally cleanse the epidermis for cleaner, brighter, more youthful skin just in time for summer! 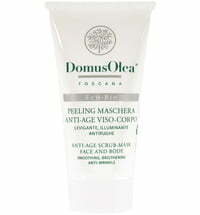 Remember to pamper the skin with a moisturizing natural cream after exfoliating.